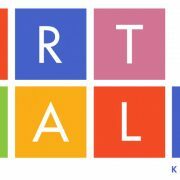 We’ve got studios opening all over Kingston this weekend, for the 2018 ArtWalk! Art Walk Kingston is a celebration of the arts and the local community. Over the course of two days, visitors and local residents are invited to explore three distinct areas of the city of Kingston and immerse themselves in a range of art and events. Paintings, photographs, drawings and sculptures are just some of the mediums that will be on display at home studios and galleries across the city ­ performers are invited to schedule performances to include during the tour. Whether you have a few hours or a full day, the event weekend will offer a broad range of art and activities for everyone. 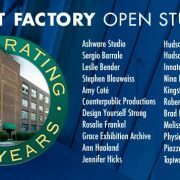 The event will be held from 12 – 5pm each day and will feature over 130 artists showing work in nearly 60 private studios and galleries. 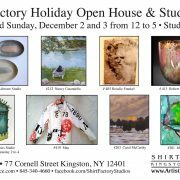 Use our ONLINE MAP while you’re out visiting the studios and galleries or pick up printed maps available now at: Catskill Art Supply, Hamilton & Adams, Rough Draft, ARTBAR, Monkey Joe, Village Coffee and Kingston Wine Co.
Visit the Shirt Factory, Brush Factory Arts, Rondout Mews and 9 Hone Street to check inspired art and friendly artists!